I am a 22 year old female, I broke my calcaneus jumping out of planes for the army and cracked my heel, I was diagnosed with arthritis in my foot two years after the incident . I am very active and love cardio and lifting heavy. My foot swells up in the front under the big toe side, it hurts really bad to do the same activities as before and if I stand on it to long it will swell up and I won't be able to even walk in that foot due to the pain. I am waiting until I am completely out to have the VA re evaluate me. curious to see if you might know what the pain is and why does it swell... It's been going on for 7 months now. The way I see it, breaking your calcaneus or heel bone is the tip of the iceberg, albeit it a big portion of it. What I mean by this is that if you spent your time jumping out of planes it tells me you certainly did this more than once. I have never jumped out of a plane but I would imagine even in a perfect "jump" there ends up being a lot of stress placed on the feet and ankles, as well as probably the knee and hips, if not the lower back. So, the cumulative effect of multiple jumps could have had a devastating effect on your feet. Then we move over to the jump where you actually broke your heel bone. If there was enough stress to the foot to break the heel bone then one could argue that there was overall trauma to the foot at that time. The fact that you have arthritis at your young age is simply because you probably have what is known as "traumatic arthritis" meaning the trauma sustained from all those jumps have left you with an arthritic foot. A similar example is what happens to professional football players after they retire. Many of them have severe arthritis throughout their body as a result of all the trauma sustained on the playing field. Unfortunately, you are now going to have to deal with the ramifications of this problem. terms of arthritic degeneration. It may be a couple of joints, it may be many joints in the foot; I just have no way of knowing. You are right in the sense that you will need medical care to control this problem. I would suggest to you that the swelling in the foot is from inflammation of some of the joints in your foot, but I certainly cannot rule out soft tissue issues such as tendonitis or perhaps ligament damage to the foot as well. In an effort to control the pain from arthritis I would certainly recommend a conservative route first. In other words, if one of your doctors starts talking operating on various parts of your foot in an effort to stabilize the foot and reduce pain, I would put that idea on the back burner until you have tried the more conservative options. Physical therapy is certainly an option that would be worth trying. Physical therapy is very good at reducing inflammation associated with arthritis and in doing so will reduce the swelling and pain. This alone will not solve the problem, long term, but it would be the first direction I would move in. In addition I would suggest to you that an orthotic or custom arch support may be indicated. 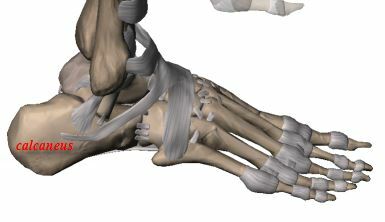 What an orthotic does is stabilize the foot. A well made custom orthotic will tend to keep the foot closer to what is known as its "neutral position" which is the ideal relationship of the foot to the ankle and leg. If a foot is held in its "neutral position" (with an orthotic) then the joints of the foot and ankle, as well as the knee, do not have to go through a range of motion that is beyond their capability. This essentially puts less stress on the joints and will lead to a reduction in pain and probably swelling. A properly made orthotic will also help absorb the shock of the foot hitting the ground. Reducing this impact should also help your foot. Once again, I am speaking blindly as I have not examined you, but I am looking at a 22 year old with a lot of years ahead of her and you are going to have to deal with this problem. Hopefully, with proper treatment your issue will be manageable and you will be able to do all the activities that you want.